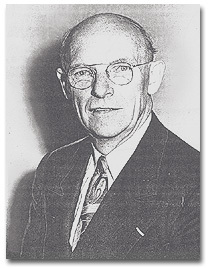 In 1930 American Unitarian Association (AUA) President Louis C. Cornish appointed Charles Joy as Vice President, a role he filled for the next seven years. In 1936, Frederick May Eliot, minister in St. Paul, Minnesota, and a cousin of the Boston Eliots, rose to national prominence as chair of the Commission of Appraisal. The Depression had been a hard time for the Unitarian Church, bringing huge losses in funding and revenue, and bringing with it new tensions and internal fissures. Eliot’s Commission issued a report designed to reassess the current state and future of Unitarianism. The report, Unitarians Face a New Age, was highly critical of American Unitarian Association President Louis C. Cornish—and by association, his vice president, Charles Joy. Throughout his career as vice president, Joy loyally defended Cornish; when Eliot issued his report and subsequently announced his candidacy for president, Joy responded by announcing his own candidacy. Less than two months after declaring his candidacy, Joy withdrew his name as a candidate. The campaign left Joy without a job. During the search for a pulpit, Joy used the time to finish his enduring book, Harper’s Topical Concordance, though he grew increasingly uneasy about his joblessness. He had begun, even, to search for work in the secular world, assuming his career as a minister had ended. Then, in March 1938 Germany annexed Austria, and Joy joined the newly-formed Unitarian Service Committee—an organization founded in Boston to assist Eastern Europeans, among them Unitarians as well as Jews, who needed to escape Nazi persecution. Joy began work immediately, proving himself determined and effective as an organizer. In 1940, he was asked to direct all Unitarian aid in Europe. Thus began a career bringing aid to displaced and suffering people worldwide. Joy felt that because the USC was a new, unknown organization, it would need some visual image to represent Unitarianism to the world, especially when dealing with government agencies abroad. Agents working in such high-risk areas needed to convey their authority and their political and religious association, as it could mean life or death. 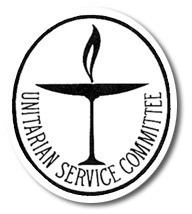 As a result, Joy asked an artist and an employee of the Unitarian Service Committee, Hans Deutsch, to design a symbol that would be placed on all Unitarian documents. Deutsch was a refugee from Paris who had been a successful painter and musician. Living in Paris during the 1930’s Deutsch drew critical cartoons of Adolf Hitler. When the Nazis invaded Paris in 1940, he abandoned all he had and fled to the South of France, then to Spain, and finally, with an altered passport, into Portugal. It was there that he met Joy, who, was then European commissioner of the Unitarian Service Committee and was busy overseeing a secret network of couriers and agents. I have made it up into a seal, not because I have any idea of forcing this upon the committee without consulting them, but because these things cost very little here, and at least it will serve as a temporary expedient for us to use in our papers until we get something better, assuming that the committee does not like this. Personally, I like it very much. It is simple, chaste, and distinctive. I think it might well become the sign of our work everywhere . . . . 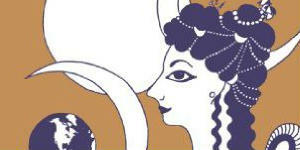 Soon the symbol was approved and voted to be the official Unitarian seal. Today, at the opening of Unitarian Universalist worship services, many congregations light a flame inside a chalice. This flaming chalice has become a well-known symbol of Unitarian Universalist faith in action. Joy worked tirelessly to bring relief to refugees and others war victims in decimated towns throughout Europe. Fighting hunger and starvation, providing food, clothing, X-rays, blood tests, infectious disease treatment and countless other forms of aid, he wrote of the Unitarian Service Committee’s work in regular installments in the Christian Register, repeatedly telling stories of refugees. 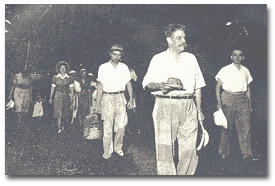 Charles Joy co-authored, with Melvin Arnold, The Africa of Albert Schweitzer and edited Albert Schweitzer, an Anthology. He translated from German other works by Schweitzer such as A Psychiatric Study of Jesus and essays celebrating Goethe. 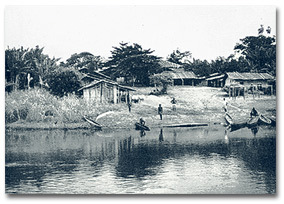 Joy also photographed countless stages of Schweitzer’s work at his hospital at Lambarene on the Ogowe River in French Equatorial Africa. The hospital, as of 1949, already comprised some forty structures. 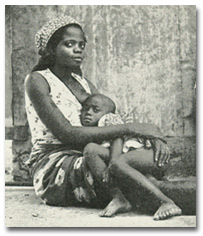 Here are some of the photographs taken by Charles Joy, with captions from The Africa of Albert Schweitzer. Equatorial Africa is in many respects a woman’s world, to a degree not even dreamed of Western feminists. Dr. Schweitzer chuckles when he tells of members of his audience, on his lecture tours, expressing horror at the servitude of native women. In some areas of life, there is servitude; but in other areas the women are more free than civilized women. In general terms—economically, they are in servitude; socially, they are free. From villages such as these come those who bear the mark of pain. In Equatorial Africa no one escapes disease and pain. Until Dr. Schweitzer came and established his Hospital, the sick and lame in a wide area had no one to turn to but their native medicine men. Now some five thousand men, women, and children come each year to the hospital, from an area four or five hundred miles in diameter. “Le Grand Docteur” at his desk in the crowded consultation room of the main hospital building. Here he attends to patients’ needs, and here he snatches, when he can, some spare minutes to do a little more work on a manuscript. Out of the jungles of Africa, black and mysterious, he comes. Those who know him and work with him are close behind; but back in the night others come, more and more of them, a growing multitude in endless procession—simple, untutored souls who have been touched by his hands of mercy, blessed by his words of love. 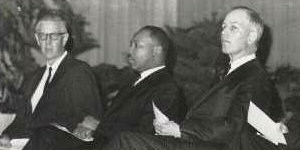 Charles Joy’s long life of human service ended in Albany, New York in 1978. BORN: Boston, Mass., Dec. 5, 1885. Robert Joy, Arabella Sophia Parke. PREPARED AT: Roxbury High School, Boston, Mass. YEARS IN COLLEGE: 1904-1908. DEGREES: A.B., 1908; S.T.B., 1911 (Andover Theological Seminary). 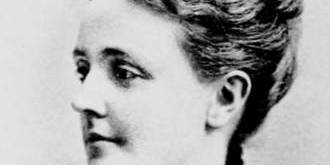 MARRIED: Lucy Alice Wanzer, Cambridge, Mass., June 29, 1911. Children: Alice Parke, Lucy Parke (twins), Feb. 23, 1912; Robert Arthur, Apr. 13, 1922; Nancy, Oct. 16, 1925. I majored in English literature at Harvard College, and from the College entered the Divinity School. It was my ambition in those days to combine theology and literature in one career as Stopford A. Brooke had done in such a signal way. That ambition has never been realized, and never will be realized now. The ministry, I have found, is too exacting a profession in these modern days to look with favor upon such divided loyalties. For a few years I did serve as Literary Editor of The Christian Register, but this is the nearest approach I have ever made to the realization of the old ambition, which is now dismissed, I am sure, for good. It was in 1908 that the Andover Theological Seminary came to Cambridge and I registered in both schools, as one could under the rules existing at the time. Simultaneously I pursued studies in both schools and received upon graduation S.T.B. degrees from both. I was married in the Chapel of the Divinity School the day after Commencement to Lucy Alice Wanzer, Dean Fenn officiating. In the fall of that year I was settled in the First Parish of Portland, Maine, which had had none but Harvard men as its ministers from the time of its organization more than two hundred years before. Among them was Thomas Hill, predecessor of Charles W. Eliot as President of Harvard College. The First Parish was an important church, the largest and strongest of the Unitarian fellowships in Maine. It was only the unfortunately prolonged illness of the minister of the church that opened the doors of this parish to an inexperienced young chap like myself. But to Portland I went, first as the acting minister, and then as the settled pastor of the parish. There I was ordained in 1913. My resignation from the Portland church was precipitated by the outbreak of the World War. I was opposed to the war. I shared Field Marshal Sir Douglas Haig’s opinion that “it is the business of the church to make my business as a soldier impossible.” My preaching became unacceptable. I resigned. I did not, however, desire to escape from the duties of that terrible period in our history. I sought service overseas with the Y.M.C.A. in order that I might help in some little way in assuaging the wounds of the great conflict. 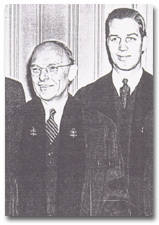 Dr. Joy, left, during his tenure as Unitarian Service commissioner for Europe, with Rev. Dana M. Greeley of Boston’s Arlington Street Church. Courtesy of the Boston Public Library Print Department. I spent a year and a half overseas, six months with the French Army at the front. For this service I received later from the French War Office the Medaille Commemorative de la Grande Guerre, a strange decoration for a peace worker to possess, perhaps. 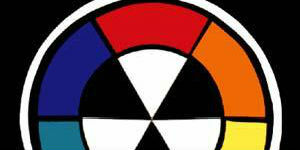 From the French Army I was transferred to the 42nd American Division, the so-called Rainbow Division. With this Division I went through the Champagne-Marne Defensive and a part of the Chateau-Thierry Offensive. Then I was transferred to northern France. I became a Divisional Secretary with headquarters at Rouen; later Regional Director of all the Y.M.C.A. work in France north of Paris, and in Western Belgium, with headquarters at Le Havre. Returning to America I resumed my work in the ministry, taking a little church in Pittsfield Mass., where I remained from December 1919 to January 1922. The first minister of this church had been William Wallace Fenn of the Divinity School. In the early part of 1922 I was called to be minister of the First Church in Dedham, which had been established in 1638. There for five happy years I tried to serve the needs of that community. It was at this time that I began to be active in denominational affairs, for the headquarters of the Unitarian fellowship to which I belong was nearby in Boston. I became Literary Editor of The Christian Register, and Secretary of the Unitarian Ministerial Union. 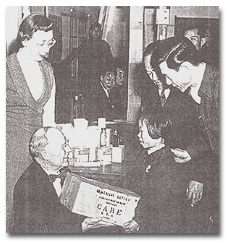 Dr. Joy presenting a CARE package, containing twenty tubercular pills as well as sanitary supplies, to a young Korean. CARE, a nonprofit relief agency led by Dr. Joy, distributed such packages in war-torn Korea in the late fifties. Courtesy of the Boston Public Library Print Department. In January 1927 I became minister of All Souls Church in Lowell, a union church which started as a federation of Unitarians and Congregationalists. Since the merger began, however, men and women of many diverse religious backgrounds have joined the church. In the beautiful building designed by Ralph Adams Cram I became interested in the effort to solve in a practical way the troublesome problem of church unity. My association with the denominational work continued. I became Secretary of the Committee on the Supply of Pulpits for the Unitarian Ministerial Union. 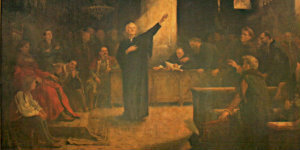 The task of the Committee was to bring together churches seeking ministers and ministers seeking churches. This work led directly to a call from the American Unitarian Association to become an Administrative Vice President of that organization, through which the Unitarian churches of the United States and Canada function as a single group of free churches. The last summer in Lowell I spent with my wife abroad on the only pleasure trip I have ever taken in Europe. We took our car with us for a memorable summer, the chief event of which was my climbing of the Matterhorn, a foolhardy exploit, of which I ought to be ashamed, but of which I am inordinately proud. Since January 1930, I have been an officer of the American Unitarian Association. I have just been nominated for the next four years’ term. My work is administrative, with much preaching and speaking. I have travelled all over the United States preaching, lecturing, and visiting churches. My interest in Church unity has increased during these recent years, and I am now enthusiastic over the new plan for the Free Church of America, under whose banner we are hoping to gather the liberals of the United States and Canada, whatever their name. I have just heard that the Pacific Unitarian School for the Ministry at Berkeley, Calif., has voted to confer upon me the honorary degree of Doctor of Sacred Theology in April of this year. So I am about to start west for a lengthy trip along the Pacific Coast with two preaching engagements at Stanford University, and other engagements in churches and colleges. Here is the record to date. In the world’s goods I am just as poor as ever, unless we count our wealth in terms of children. But it has been a full, happy, and eventful life. 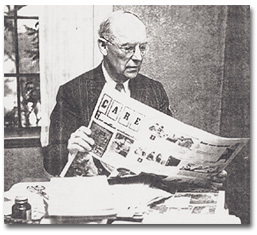 Dr. Joy reviewing an issue of “Stars and Stripes” which includes information about his CARE program. Courtesy of the Boston Public Library Print Department. “My life since the happy Cambridge days in college and Divinity School seems to have fallen into three distinct periods. From 1911 to 1940 I was in the active ministry of the Unitarian Church, for seven years as administrative vice president of the American Unitarian Association From 1940 to 1954 I was engaged in international relief work. This work took me all over the world in such posts as executive director of the Unitarian Service Committee, European director and associate director of the Save the Children Federation, international representative, chief of the Korean Mission, and executive consultant for African affairs for C.A.R.E. 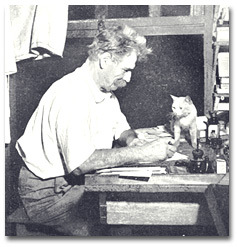 In the course of these first two periods of my life I found time to write, translate, or edit a dozen books: Topical Concordance of the Bible, three books on labor and political conditions in the Soviet Union, and eight books on one of the truly great men of all time, Albert Schweitzer. 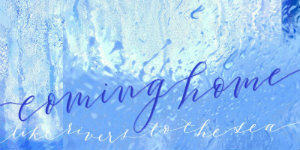 The third period of my life began in 1954, since when I have been devoting my whole time to speaking and writing. Three more books of mine, People of the African Equator, Africa—A Handbook for Travelers, and a Tolstoy Anthology, will be published in the spring of 1959, and I am committed to the writing of eight or ten more during the next few years. The Andover-Harvard Library at Harvard University holds the archives of the American Unitarian movement. One symbol of this fact is the 21 page itemization of the papers of Charles Rhind Joy. There are sermons (1909-1967), addresses (1909-1966), printed articles since 1928, as well as writings, book reviews, church papers and worship materials, correspondance and other documents related to his life and work. Di Figlia, Ghanda. Roots and Visions: The First Fifty Years of the Unitarian Universalist Service Committee. Cambridge: The Unitarian Universalist Service Committee, 1990.